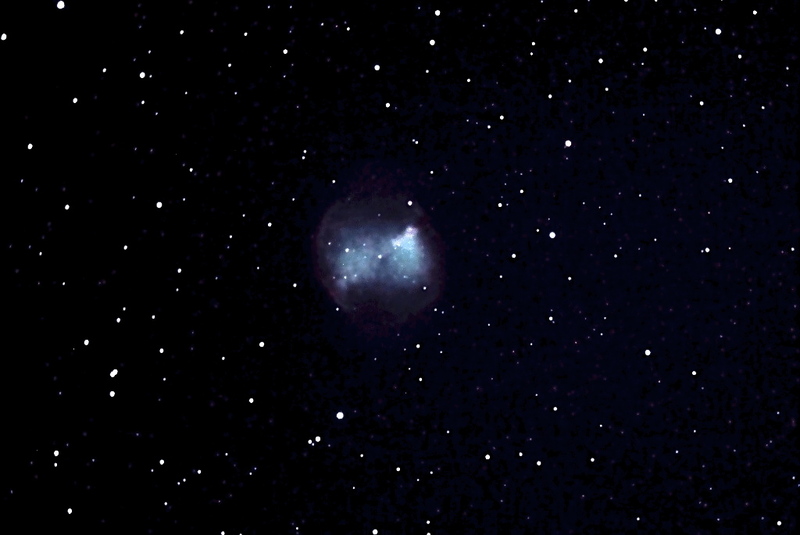 Dumbbell Nebula - Planetary Nebulae like M27 are the gaseous remnants of stars long gone. When relatively small stars die, they throw their outer layers into space, forming these nebulae and leaving behind very dense but tiny white dwarf stars. In fact, our own Sun will one day succumb to a fate similar to that of the star that formed M27. Like other planetary nebulae, M27 is symmetric, in this case resembling the shape of a dumbbell (a bit of imagination, of course, is required).